I had this idea that I would create a memory line of Instagram photos to hang in the playroom. The children especially love to look at photos and remember things we have done and places we have been. I ordered some Instagram prints from Inkifi – I went for these square prints but they have different options available, including vintage prints and mini squares which are super cute!I am thrilled with the results but still exploring others ways that can preserve my memories. I really need to sit down and have a big session cutting and sticking into the children’s memory books. With four to do I could do with a spare week to do this haha!I have recently come across Photobox – I hadn’t used them before but am quite excited about all the wonderful things on their website. They have a huge range of photo products from canvas, to photo books, to mugs, to photo fashion and more. 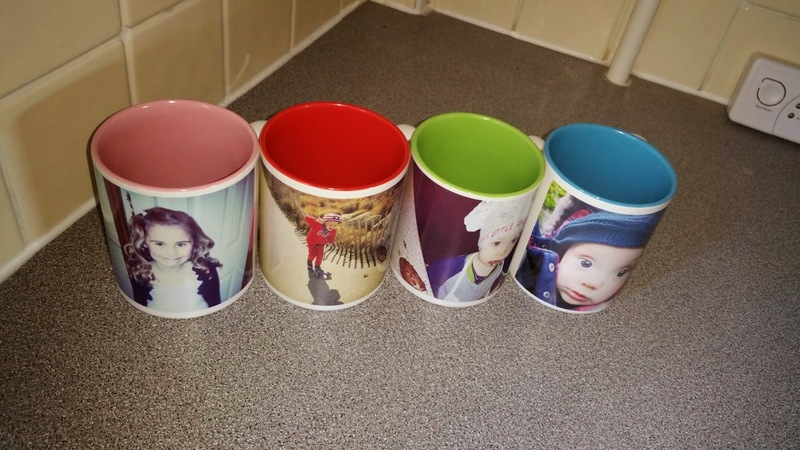 They are well worth checking out.My most recent addition to my memory-preserving tools are four gorgeous mugs, each with a bright colour inside and complete with a photo of each child, their name and a set of hand prints. I just love these. I know mugs don’t last forever but they normally last well and I certainly remember as a child having a particular mug I favoured and I think I even took it to university with me! I think these would make a great Easter gift – can you imagine them with a chocolate egg in on the breakfast table on Easter Sunday – perfect! The bright internal colours are fantastic and are so vibrant. 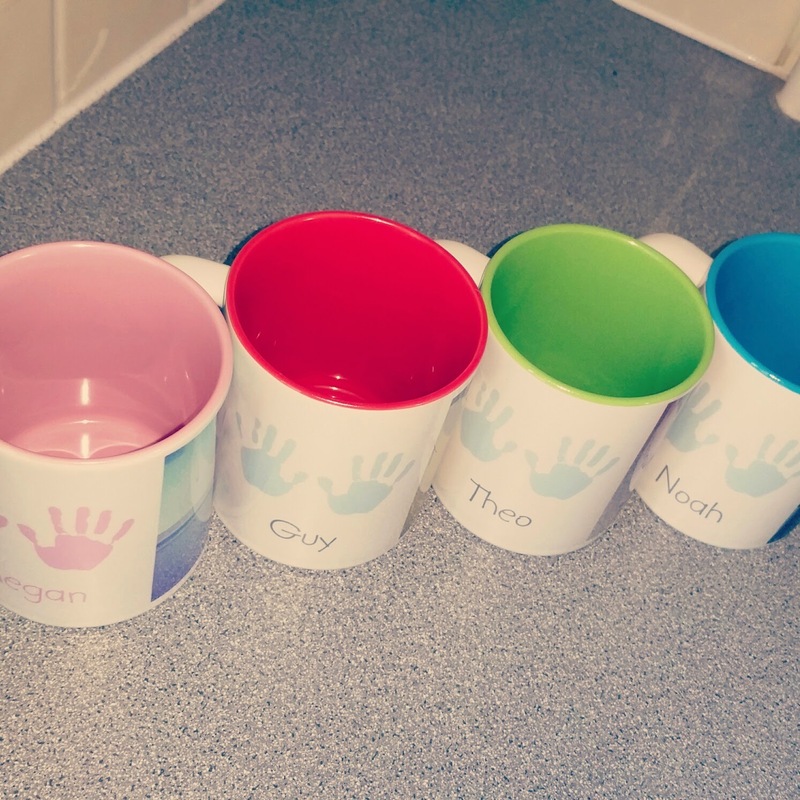 These could make a great new baby gift as well, or a special gift for a grandparent.There are so many options and photobox is so easy to use as well. I noticed when I was ordering these that they also do phone cases – I really need to get a phone case ASAP and I love the idea that I could have my memories printed on that. My favourite thing on their website are the photo cushions. Looking through my photos the other evening I can totally imagine some of these on cushions.